The Shimano Sienna 2500FD is a light-weight trout spin fishing reel ideally suited for casting softbaits to trout, salmon and sea fish. Perfect for casting lures like 1/6 oz jig heads, Tobys and Tasmanian Devils. 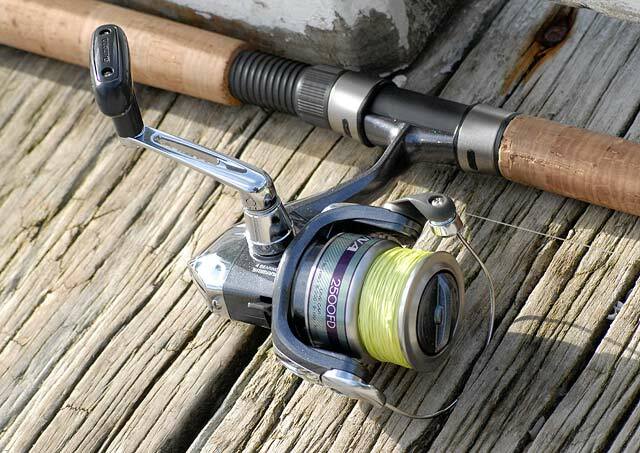 Shimano’s is a trusted manufacturer with a long history of reel making. Shimano also makes bicycle gears and brakes. They know a thing or two about gearing systems and producing quality products designed to take rough treatment without failing. Despite its small size, the Shimano Sienna 2500FD will easily hold 150m of 6lb braid (braid with the diameter of 6lb monofilament), which is more than enough for kahawai, or even the heaviest Twizel Canals Monster. Don’t forget that braid with the same diameter equivalent to 6lb monofilament will have a much higher breaking strain. I always add a fluorocarbon shock leader measuring about two-rod lengths to the end of the braid. The 10lb fluorocarbon leader hides the line from fish. 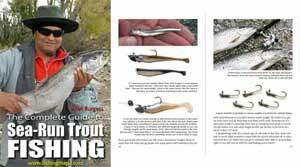 With this sort of set-up, you will be able to cast small lures like a 7g Glimmy or soft bait a considerable distance. The Shimano Sienna 2500FD has a gear ratio of 5.2:1. It feels very smooth when you crank the handle having three ball bearings and an oversized roller bearing on the bail arm. Overall weight is just 255g (9oz) so you will have no trouble casting and retrieving all day with this little beauty. Shimano Sienna 2500FD spinning reel. The Super Stopper Anti-Reverse works very well too. There is just no back-play in the handle at all. If you haven’t purchased a new Shimano reel for a couple of years you will notice this improvement immediately. There is a very comfortable flat wide handle grip which I really like. 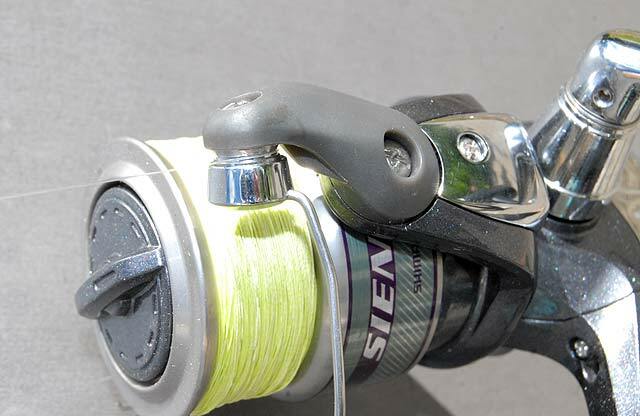 Another substantial improvement over older models is Shimano’s new Propulsion Line management System, together with Varispeed Oscillation which prevents the outer layers of line cutting into the line already on the spool as you retrieve. This greatly reduces the possibility of line “digging-in” under tension the way it did with older reels spooled with braid. This would often result in knots forming and line becoming jammed on the spool. My older model Shimano Aerocast, for example, lacked this feature so you had to be very careful to maintain tension on the line to avoid loose coils at the start of each retrieve. 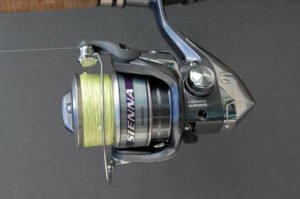 The best part about the Shimano Sienna 2500FD is that you get all of these updated improvements in a beautifully smooth running modern reel but with a price tag of just NZ$69.95. I would have liked to have seen a spare spool included in the box but at that low price, it would be well worth buying two reels! Shimano Sienna 2500FD spinning reel. Note the over-size line roller.